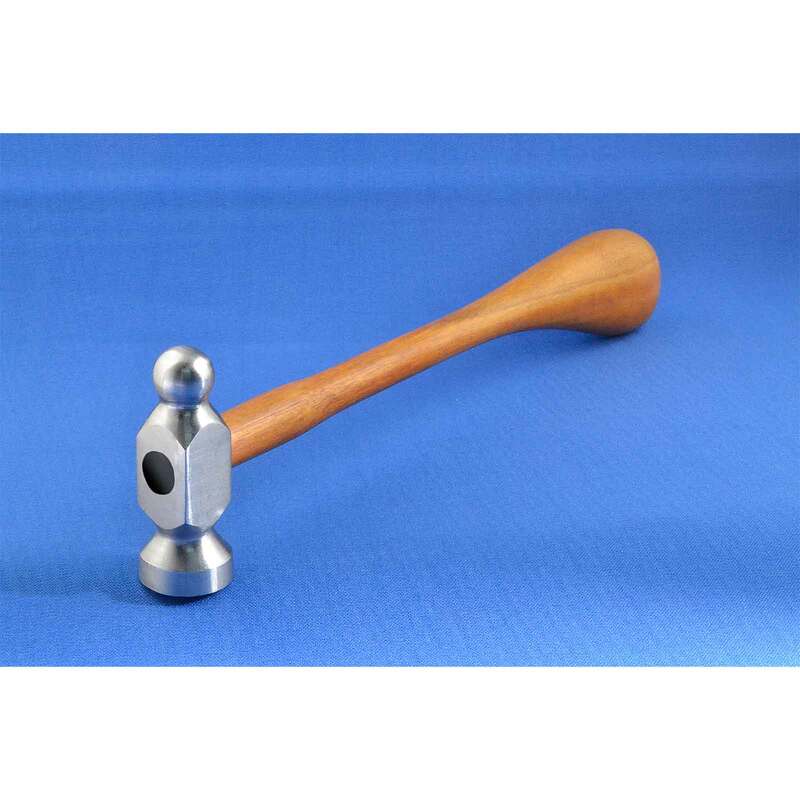 This well balanced, nicely made jeweler's hammer is ideal for use with one of our anvils when you need to shape or flatten metal. Polished tool steel head and hardwood handle. Flat end of head is 1 inch dia. Handle is 9-1/2 inches long. Weight is 5-1/2 oz. A well made little hammer. Not only does this hammer fit effortlessly in your hand, the balance and size make it ideal for many applications. Love this little hammer.